This post was originally written by Sara Lowe and published on Elevation Web. Imagine you’re a nonprofit that helps provide clean water to small villages in Guatemala. A volunteer looking to donate time to an organization might type in “water project Guatemala” into Google. Your organization is buried on the third page of Google search results, and the volunteer doesn’t look that far. As a result, you miss opportunities to gain new volunteers and, of course, more donations. Thankfully, there are lots of resources out there that can help you improve your SEO strategy, including experts who have spent a good portion of their careers mastering the complexity of search engines. They keep us up-to-date via their blogs, Twitter accounts, conferences, and more. Follow and learn from the following 10 SEO experts so that your nonprofit doesn’t get left behind in search results. 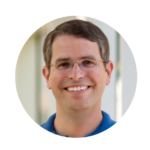 Matt Cutts is currently the director of engineering at the U.S. Digital Service after resigning as the head of the webspam team at Google in December 2016. His blog, “Matt Cutts: Gadgets, Google, and SEO,” contains a ton of useful resources for all things SEO. Regarding his philanthropic contributions, Cutts says on his blog that he founded a nonprofit foundation with his wife (which then closed in 2013), where he donated to organizations such as charity: water, the Sunlight Foundation, and Free Press. With over 546,000 followers on Twitter, Cutts is one of the go-to guys for everything you need to know to get to the top of Google rankings. “Open source aficionado, developer, marketeer. In that order. I come to bring traffic.” So are the words of Joost de Valk on his Twitter profile. 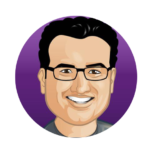 De Valk created his company Yoast to provide software, training, and services for website optimization. These include the plugin “SEO Yoast” which is currently available for two platforms and active on around 4 million websites, and is an extremely handy tool for optimizing your SEO on WordPress. Yoast’s Twitter has 106,000 followers. 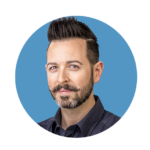 Rand Fishkin—self-proclaimed startup junkie, frequent traveler, blogger, social media addict, and evangelist of all things TAGFEE—founded Moz (formerly SEOmoz) in 2004. Moz has grown dramatically since its founding, shifting focus from exclusively SEO tools to broader web marketing software. Fishkin was Moz CEO from 2007 to 2014 and now focuses on product marketing as the “Wizard of Moz.” He still contributes regularly to the Moz blog. He also spends much of his time traveling and speaking at marketing conferences around the world, averaging 100 days on the road each year and 30 to 40 speaking appearances. Fishkin has over 395,000 followers on Twitter. 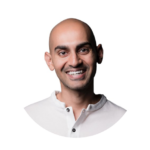 Neil Patel is an entrepreneur, investor, and influencer who co-founded hugely successful businesses, including Crazy Egg, KISSmetrics, Hello Bar, and Quick Sprout. Patel was recognized as a top influencer on the web by The Wall Street Journal, a top 10 online marketer by Forbes, and creator of one of the 100 most brilliant companies in the world by Entrepreneur Magazine. President Obama named him one of the top 100 entrepreneurs under the age of 30, and the UN recognized him as one of the top 100 entrepreneurs under the age of 35. He is a columnist for Forbes, Inc., Entrepreneur, and Huffington Post, and he also writes for his blog Quick Sprout and maintains over 275,000 followers on Twitter. 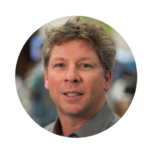 Danny Sullivan is the founding editor of Search Engine Land, Marketing Land, and MarTech Today, all of which are published by the company that he co-founded and serves as Chief Content Officer for: Third Door Media. Search Engine Land is an industry publication that covers news and information about search engines, search marketing, SEO, and SEM topics. Third Door Media also produces the SMX: Search Marketing Expo conference series, which attract thousands of viewers and focus on search marketing. Sullivan also writes his own personal blog called Daggle and has a Twitter following of over 530,000. 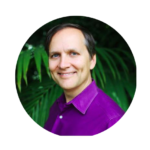 Eric Enge is the founder and CEO of Stone Temple Consulting, an award-winning full-service digital marketing agency providing a broad range of white hat SEO and digital marketing services. 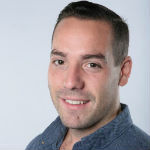 Partnering with Rand Fishkin, Stephan Spencer, and Jessie Stricchiola, Enge served as the lead author of The Art of SEO, one of the top widely sold books on the topic of SEO. Eric has written columns for blogs such as Search Engine Land and Moz as well as contributed to Forbes, Copyblogger, Search Engine Watch, and Social Media Today. He is also a regular contributor to the Stone Temple blog and has over 27,000 followers on Twitter. Brian Dean is an internationally recognized entrepreneur and SEO expert who founded Backlinko, a traffic generation business that specializes in link building, SEO, content marketing, and conversions. Dean believes that today’s online marketers must master the art of link building, user experience, and content promotion in order to optimize their website for search engines. In addition to Backlinko, Dean offers a free newsletter full of proven SEO and traffic tips as well as manages a Twitter following of more than 58,000. 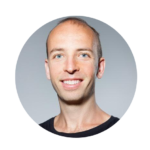 Stephan Spencer is the author of Google Power Search, a co-author of Social eCommerce, and a co-author on Eric Enge’s book The Art of SEO. He also invented the specialized software RIO SEO Website Optimizer, which is an automated pay-for-performance natural search technology platform. He has spoken countless times at conferences on SEO and other online marketing topics and contributes to blogs like Search Engine Land, The Huffington Post, and Multichannel Merchant. 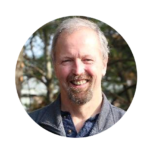 Spencer sits on the board of Impact Network, and has donated his time and expertise to organizations like The Carter Center, Singularity University, and Foresight Institute. Spencer has over 27,000 followers on Twitter. 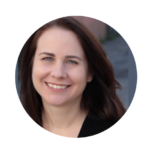 Vanessa Fox is the CEO of Keylime Toolbox, where she aims to bring common sense SEO resources to everyone. Keylime Toolbox is a software company whose SEO tools give you actionable insights for improving qualified traffic from unpaid search. She was a key creator of Webmaster Central when working at Google, and used that information along with past experience in website development to build tools and education that site owners needed for Google search. Fox also wrote Marketing in the Age of Google, which has been named a must-read for the business owner who’s looking to survive in the 21st century. She continues to be major SEO influencer by speaking at conferences around the world, and she has over 39,000 followers on Twitter. 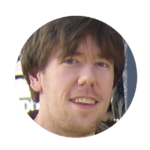 Aaron Wall is the founder of SEOBook, a leading SEO website that claims to offer the number one SEO training program, complete with over 100 custom training modules, a private forum, exclusive premium tools, and additional resources. The site was launched in 2003 and is known as one of the oldest SEO sites that’s still regularly updated for the current state of the web. It prides itself on being gimmick-free and offering a solid, affordable program that guarantees quality learning. In addition to managing his blog and having over 75,000 Twitter followers, Wall also speaks at conferences and participates in many search marketing communities. Staying up to date on your nonprofit’s SEO health is vital for your success as an organization. Whether you’re an SEO expert or a novice it’s worth checking out these experts’ resources. Happy optimizing!